ATO provides 2-phase Nema 17 stepper motors with holding torque from 22oz-in to 85oz-in. 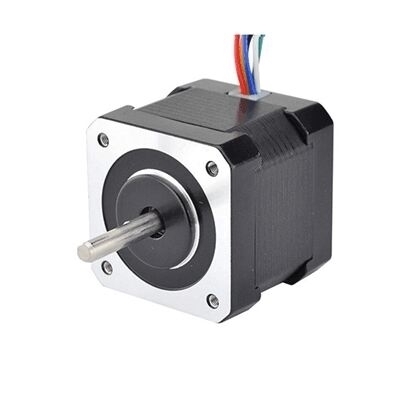 These stepper motors are 1.8 degree step angle, good quality and high precision, low motor heating and smooth movements. You will get a Nema 17 you desired at lower cost on ATO. This is a high precision 4-wire bipolar stepper motor, size in Nema 17, 1.8 deg. step angle (200 steps/rev), body in 47mm, good quality and manufacturer direct sale. 2 phase, 1.8 degree step angle, 4 wires bipolar Nema 17 stepper motor with excellent quality and reasonable price, high holding torque and low power consumption, manufacturer direct sale. 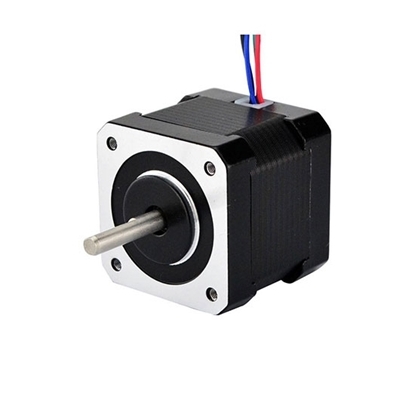 This bipolar Nema 17 stepper motor is most popular, it with 1.8 deg. step angle (200 steps/revolution). Each phase draws 1.68A, allowing for a holding torque of 50 oz-in. Cheap price Nema 17 stepper motor, 2 phase 4 wires, resolution of 1.8 degree/step, torque of 36 oz/inch, manufacturer direct sale.